St. Bruno School offers a rigorous academic curriculum that is provided by a dedicated, loving staff. St. Bruno is fully aligned with the Common Core Standards. All teachers hold a Bachelor’s and/or Master’s degree. 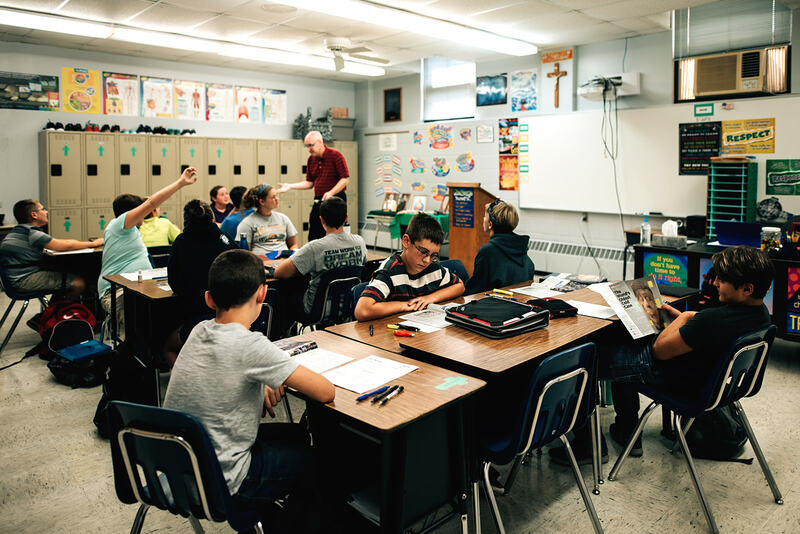 All of our teachers exemplify Christian values, which are continuously demonstrated to their commitment to their students. Our program includes a Pre-K through 8th grade curriculum that incorporates technology and is developmentally appropriate and fully aligned with the Common Core Standards. Our academic subjects include: religion, math, language arts, social sciences, science, art, music, and physical education.